Lewis Thomas Wattson was born on January 18, 1863, in Millington, MD, the son of the Rev. Joseph Newton Wattson, Rector of St. Clement’s Episcopal Church, Massey, and Mary Electa Gregory Wattson. After graduating from college he attended the General Theological Seminary in New York. He was ordained as a Deacon by the Rt. Rev. Alfred Lee, Bishop of Delaware, on behalf of the Rt. Rev. Henry C. Lay, Bishop of Easton, at St. Paul’s Episcopal in Centreville, MD, on June 5, 1885. He was subsequently ordained a Priest by the Bishop of New York. His first parish was at Port Deposit followed by a ministry at St. John’s Church in Kingston, NY. From 1895 to 1899 he was head of the Associated Missions in Omaha, Nebraska. Founder of the Franciscan Friars of the Atonement, Servant of God Father Paul of Graymoor was a true apostle of Christian Unity and charity, an ardent Franciscan, missionary of At-One-Ment and leader. His life purpose and legacy was work for the realization of Christ’s prayer at the Last Supper: “That all may be one: as thou, Father art in me, and I in thee, that they also may be one in us.” (John 17:21) This legacy of At-One-Ment and the example of his life and work have drawn others into the world to be bridge builders, peace makers and reconcilers. The Week of Prayer for Christian Unity began in 1908 as the Octave of Christian Unity and focused on prayer for church unity. 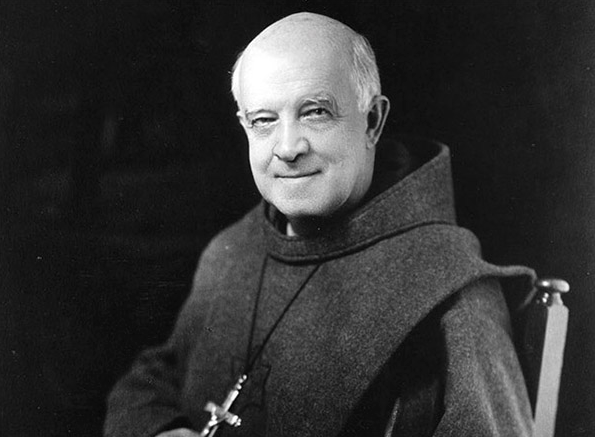 The dates of the week were proposed by Father Paul Wattson, cofounder of the Graymoor Franciscan Friars. He conceived of the week beginning on the Feast of the Confession of Peter, the Protestant variant of the ancient Feast of the Chair of Saint Peter, on 18 January, and concluding with the Feast of the Conversion of Saint Paul on 25 January. Pope Pius X officially blessed the concept and Benedict XV “encouraged its observance throughout the entire Roman Catholic Church.” For a while, the observance was renamed the “Chair of Unity Octave” by Wattson in order to emphasize the relationship between Christian unity and the Petrine See (i.e., the papacy). Protestant leaders in the mid-1920s also proposed an annual octave of prayer for unity amongst Christians leading up to Pentecost Sunday (the traditional commemoration of the establishment of the Church). Abbé Paul Couturier of Lyons, France, who has been called “the father of spiritual ecumenism,” had a slightly different approach from that of Father Wattson, a convert to Roman Catholicism from Anglicanism. He advocated prayer “for the unity of the Church as Christ wills it, and in accordance with the means he wills,” thereby enabling other Christians with differing views of the Petrine ministry to join in the prayer. In 1935, he proposed naming the observance “Universal Week of Prayer for Christian Unity,” a proposal accepted by the Roman Catholic Church in 1966. Father Couturier’s message influenced a Sardinian nun, Blessed Sister Maria Gabriella of Unity, whose deep, prayerful, sacrificial devotion to the cause of unity is held up by Rome as an example to be followed. In 1941, the Faith and Order Conference changed the date for observing the week of unity prayer to that observed by Roman Catholics. In 1948, with the founding of the World Council of Churches, the Week of Prayer for Christian Unity became increasingly recognized by different churches throughout the world. In 1958, the French Catholic group Unité Chrétienne and the Faith and Order Commission of the World Council of Churches (a body which includes, among others, most of the world’s Orthodox churches as well as many Anglican, Baptist, Lutheran, Methodist, Reformed, United and Independent churches) begin co-operative preparation of materials for the Week of Prayer. The year 1968 saw the first official use of materials prepared jointly by the Faith and Order Commission and the Pontifical Council for Promoting Christian Unity, representing the entire Roman Catholic Church. Collaboration and cooperation between these two organizations has increased steadily since, resulting recently in joint publications in the same format. Timothy Cardinal Dolan of the Archdiocese of New York formally opened the Cause for Canonization of Father Paul on Tuesday, September 22, 2015, in New York City. On March 9, 2017, at the New York Catholic Center, documents and artifacts illustrating the holiness of the life of this Servant of God were sealed for shipment to Rome. Father Paul was an indefatigable servant of God whose work was to spread the Kingdom of God on earth. He had the heart of a Franciscan and the missionary zeal of St. Paul, as evidenced by his many publications, sermons and letters he left behind, and the Ave Maria Hour Radio Show which brought the words of the gospel and the lives of the saints into people’s homes. If the Roman Catholic Church decides to canonize Fr. Paul, and if the General Convention adds him to the calendar of commemorations of the Episcopal Church, he will become the second native-born Episcopalian to be so honored by both churches. The first was Elizabeth Ann Seton, canonized on September 14, 1975, by Pope Paul VI, and added to the Episcopal calendar of commemorations by the 2009 General Convention of the Episcopal Church. Rev. Nathaniel W. Pierce is the Supply Priest at St. Paul’s Episcopal Church in Trappe, MD and the Ecumenical Officer for the Diocese of Easton.